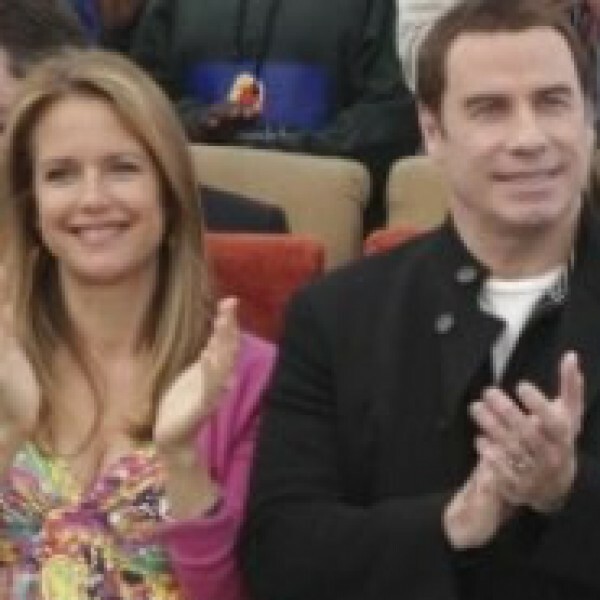 From USA Today- John Travolta and Kelly Preston donated 70,000 rand (about $10,000) Saturday, June 12 to the Nelson Mandela Children’s Fund during their visit to South Africa. The Hollywood couple were treated to a drum concert and serenade by some of the children the foundation has supported. Johannesburg, 12 June 2010: The children of the Nelson Mandela Children’s Fund were in for a treat when John Travolta, a renowned Hollywood Actor and Qantas Global Goodwill Ambassador, spoke at an event entitled “Eye in the Sky, Foot in the Ground: Once in a lifetime event for Children”, in Saxonwold, Johannesburg, on Saturday, 12 June 2010. John Travolta was in the country for five days as an Official goodwill ambassador for Qantas Airways, the official sponsor of the Australian soccer team known as the Qantas Socceroos. Travolta’s time was spent raising awareness about the Nelson Mandela Children’ Fund, as well as supporting the Qantas Socceroos in their quest to win the 2010 FIFA World Cup. Travolta praised Nelson Mandela and expressed his delight and gratitude for the work that the Nelson Mandela Children’s Fund is doing to assist children in need. “Mr Mandela is a man of great moral standing, courage, and stature, and is an icon for many including myself. The work being achieved through the Nelson Mandela Children’s Fund is a further tribute to his legacy, as vulnerable children are given a lifeline through the Fund’s contributions. Certainly, it is making an immeasurable difference to the lives of thousands of children,” he said.